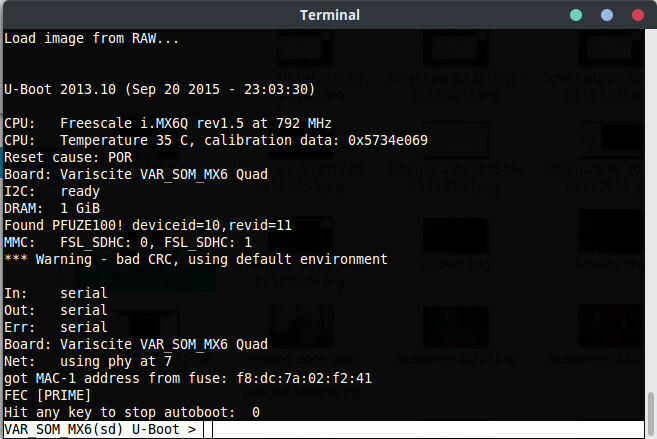 In this quick tutorial we’re going to edit the default prompt text of u-boot bootloader. To customize the prompt text you need to edit the appropriate configuration file. 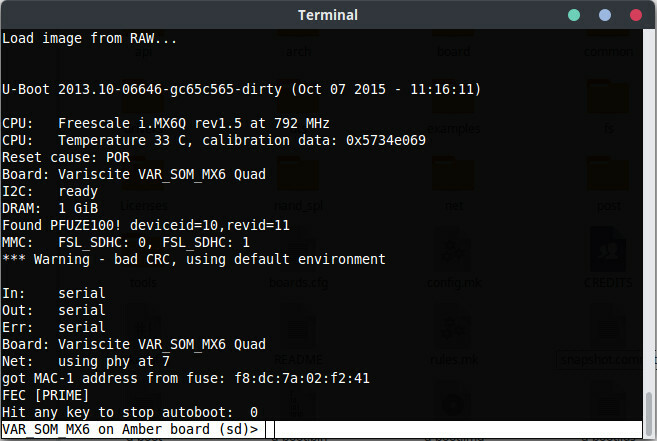 #define CONFIG_SYS_PROMPT		"VAR_SOM_MX6(nand) U-Boot > "
#define CONFIG_SYS_PROMPT		"VAR_SOM_MX6(sd) U-Boot > "
#define CONFIG_SYS_PROMPT		"VAR_SOM_MX6 on Amber board (nand)> "
#define CONFIG_SYS_PROMPT		"VAR_SOM_MX6 on Amber board (sd) > "
Flash the SPL and the u-boot image again and boot the board from SD-Card to see the changes.